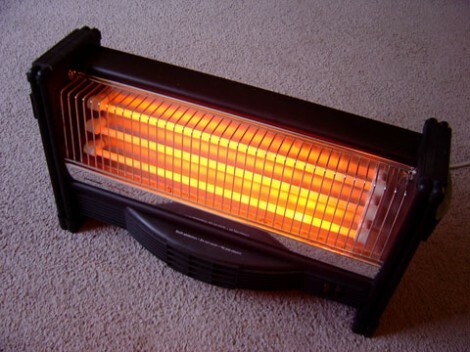 Portable space heaters: Money-savers or energy-wasters? In Ithaca, it seems that the weather took a sudden dip a few weeks ago. Temperatures fell below freezing within a few hours, and it doesn’t look like they’ll warm much until spring. That was our cue to turn on the heat for the season. As much of the northern hemisphere launches into winter, millions of people across the country are firing up their home heating systems – an act that will cost most households hundreds if not thousands of dollars this year. With those costs comes the natural inclination to save a little money. That’s when many – myself included, occasionally – turn to portable electric space heaters. When there’s a chill in the room, it seems so logical to flip a switch to warm a smaller space, instead of cranking up the heating system for the entire house. But are electric space heaters a good way to reduce your heating costs? The evidence says no. Mark Pierce, extension associate at Cornell’s College of Human Ecology, is an expert in energy efficiency issues in residential buildings. He conducted a detailed analysis of heating costs in a 1,200-square-foot, three-bedroom house to determine if there is a benefit to using portable electric heaters. 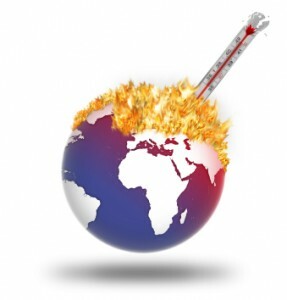 Pierce asked the question, which is more expensive: heating the entire house to 70 degrees for three hours, or heating the house to 60 degrees for three hours and using a space heater to raise the temperature of one room to 70 degrees? His analysis factored in all sorts of details like the levels of insulation in the floors, walls and ceiling, heat loss through windows and doors, and they type of heating fuel used. He assumed an outside air temperature of 10 degrees. Using average costs for heating fuels in New York, he found turning down the thermostat from 70 to 60 degrees would reduce heating costs by about 50 to 80 cents, depending on the heating fuel used. Meanwhile, using a portable heater to heat one room from 60 to 70 degrees over the same time period would cost 52 cents – a meager savings, even when using the most expensive heating fuels. But why is the cost of heating just one room with a space heater so high? Because electricity is about twice as expensive as fossil fuels, Pierce explains. Instead, Pierce recommends other ways to reduce your heating bills, such as adding insulation to your floors, walls and ceilings, installing a more efficient heating system and sealing holes and cracks around doors, windows and electrical outlets. You can read more evidence-based tips about reducing your home heating bills by clicking here. Wishing you a warm and cozy winter!